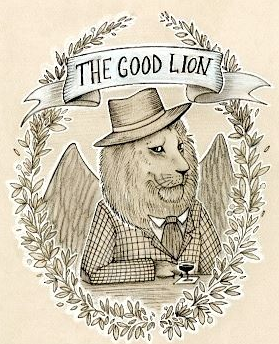 Pleased as the punch they often serve you for free as they're just that nice and good at The Good Lion that I got to be the call-out quote in Gabe Saglie's fine (of course, it's Gabe!) article about a Santa Barbara jaunt in West Hollywood Magazine this Autumn issue. The link is here, and then scroll along to page 89 for the quote and 84 for the beginning of the story.